Christmas Tree Recycling Beginning after the Monday Christmas you can drop off your tree at the Public Works Department on North Street, 7 AM to 4:00 p.m. Monday through Friday In observance of New Year's Day, Public Works & Hatch Hill Landfill will be closed January 1st or beginning after Christmas you can drop off your tree at the Hatch Hill Solid Waste Disposal Facility, South Belfast Avenue 8 AM to 4:00 p.m. Tuesday through Saturday. NO ARTIFICIAL TREES ACCEPTED AND ALL TREES MUST BE FREE OF STANDS AND DECORATIONS. NO WREATHS OR GARLANDS. Trees will be accepted through mid April 15 FREE OF CHARGE. THERE WILL BE NO CURBSIDE PICK UP OF CHRISTMAS TREES. Any questions please call Public Works at 626-2435 or Hatch Hill at 626-2440. Residents may drop off Christmas trees at Bangor Public Works, 530 Maine Ave. Drop off hours are during daylight hours Monday through Sunday. As part of the City commitment to recycle, the trees will be chipped, with some chips being used as a mulch and erosion control throughout the City. The remainder will be sold as bio mass. Please remove all wire and or metal objects from trees. Residents without means of transportation may place their tree curbside. Curbside collection will begin on Monday after January 1st. Curbside collection will end on the second Friday in January. Wreaths will not be collected for chipping either at Public Works compound, or curbside. Discarded wreaths are to be placed curbside with residential trash on the scheduled collection day. For information please call 992-4500. Following Christmas, the City provides two means of disposal for resident's Christmas trees. We provide a central drop off site in the parking lot near the lower entrance to the Brewer Auditorium off Wilson Street where the trees can be dropped off anytime throughout the month of January. The second option is trees can be taken to the Brewer Landfill during regular business hours and added to the brush pile, free of charge. Trees dropped off at the Auditorium are picked up weekly by the Public Works Department and added to the brush pile at the landfill. Once a year, the entire brush pile at the landfill is ground up by a contractor, at no cost to the City, and the material is all reused. Christmas Tree Recycling Collection: Public Works will be collecting Christmas trees curbside from Tuesday afyer New Year's Day, through the second Friday in January. Collection will follow the regular trash collection route schedule, weather permitting. To help with our Christmas tree collection we ask all to do as follows: The tree must have all decorations removed, be unbagged and have any tree stand removed. Place the tree curbside. The tree will be collected by Public Works staff and not by our trash collector, Pine Tree Waste, Inc. We may not be able to collect all trees on the same day as trash collection but we will continue collecting the routes for two weeks. Please make sure the tree remains free for collection and does not get frozen in place or buried by snow. If you miss our collection or want to recycle your tree sooner you may bring your tree to either the Graham Road Landfill when it is open (Tue. thru Sat., 8 am to 3:30 pm) or you may drop your tree off at the Leaf Drop-Off area on Industry Rd - only during this collection period. The Industry Rd area is available for drop-off 24/7. Christmas trees and Brush, Demolition, Metal Goods, and Wood Waste: These items may be deposited in a designated area pursuant to the fee schedule on these page. The facility will accept up to the equivalent of two (2) pick-up truck loads per day of separated materials. There is no charge for Christmas Trees. The City will be providing a curbside collection of christmas trees beginning Monday, January 8th, 2019. We ask all households in the city have your tree out no later than 7:00 am on Monday the 8th. We will be going street to street* until all streets are visited once. We can not provide an exact day we will be on each street, which is why we ask for all trees to be out at the same time. The city provides collection to city accepted streets and will not enter onto private ways or private developments. 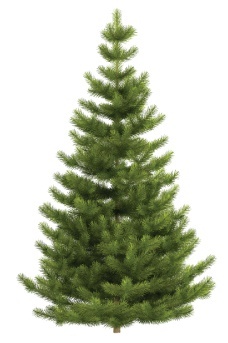 Should there be a significant weather event, we ask you bring in your tree until the weather has cleared. We will not be able to collect frozen or buried trees. Trees are always accepted at the Transfer station (Foss Rd) year round, Free to Saco Residents, during normal business hours. 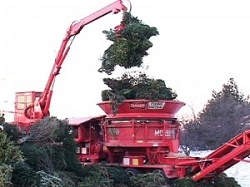 Christmas trees can be brought to the Transfer Station during normal operating hours. The Recycling Center is located on Agamenticus Road. (Take a right off of Portland Street at the monument). Christmas trees are collected for approximately 3 weeks following Christmas. Collections will be picked up by Public Works crews, not Pine Tree Waste. Please set leaf bags and trees curbside, but away from your trash barrels. Specific dates of both collections will be advertised in the Portland Press Herald and the South Portland Sentry, as well as on the city website and via South Portland's e-community newsletter. If you should miss the collection dates, these items can be brought to the Transfer Facility, free of charge. In 2019, Curbside Christmas tree collection will begin on January 7 and run through the 18th. 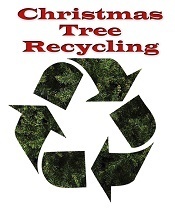 Waterville Christmas Tree collection: Trees can be left curbside or dropped off at the Quarry Road Recreation Area. The City of Waterville Department of Public Works will begin picking up Christmas trees the week of January 2; weather permitting. Trees should be left at the curb. Be sure to remove all decorations, tinsel and stands. Residents may also discard trees at the Quarry Road Recreation Area located off North Street. They should be placed on the left side of the road below the I-95 overpass. Trees will later be chipped and reused as mulch. For more information, call the Department of Public Works at 680-4744. More details will be posted on our website and City facebook page as it becomes available.